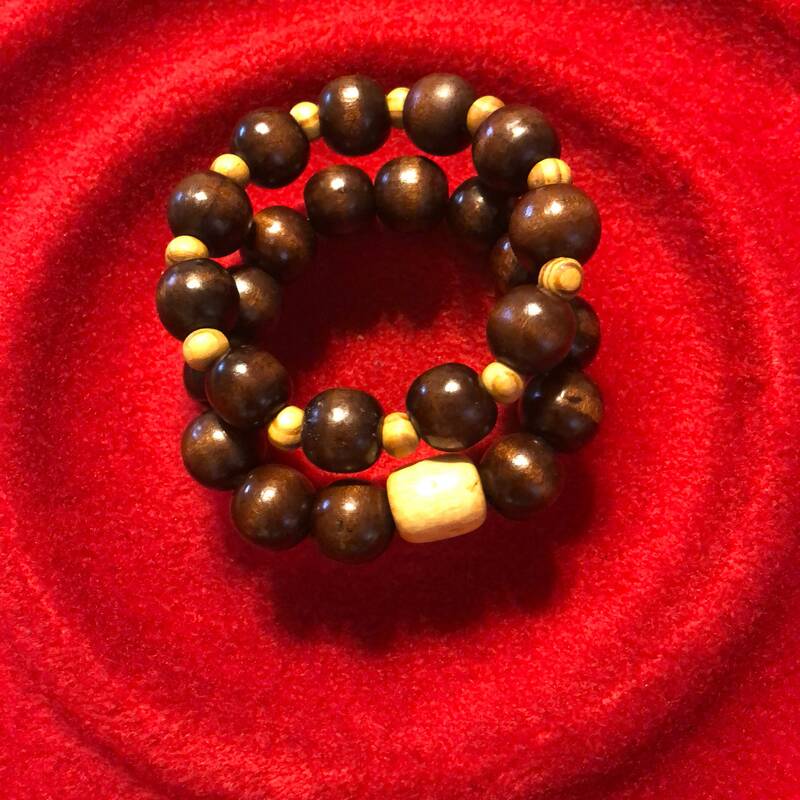 Wooden Bead Duo Bracelet Set. Sold as a pair allows you wear one or both,give one away and keep one or give both away, making gift giving easy. 15mm beads are worn loose. Stretch band allows for easy on and off access. Great for African, Hip Hop, traditional or casual wear.